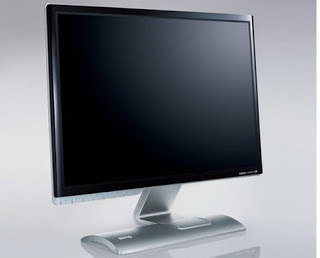 Continuing our discussion of some computer monitors. 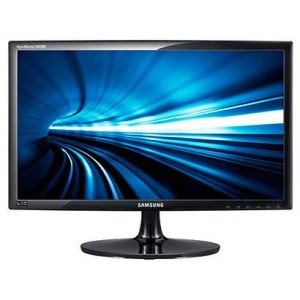 After we get to know Difference LCD Monitor and CRT Monitor, now we will continue to peel glimpse Differences LCD Monitor and Monitor LED. LCD stands for Liquid Crystal Display. LCD TV has liquid crystal between the panel of TV display, which gets activated when an electric current is supplied to it. LED TV works on the same liquid crystal platform, but light from light-emitting diodes (Light Emitting Diodes, LEDs) are used as a back-light for this TV, while the normal LCD TV uses CCFL lamp (Cold Cathode Fluorescent Lamps). A plasma TV works on a completely different platform. A plasma TV has a sheet of individual plasma cells, which get activated when electricity is passed to the TV. Thus we can see that the plasma and LCD technologies are completely different, while the difference between LCD and LED is only the back-light, which they use. A contrast ratio of the TV is the ability to show high contrast areas on the screen. Areas of high contrast black and white is the color in the picture. If the TV has a good contrast ratio, it shows the difference between dark and bright areas the screen very well. Testing is the contrast ratio of the TV in dark scenes, where the need to differentiate the color black is required. The fact that plasma TVs generally have better contrast ratios than TVs. LCD and LED. This is because plasma TVs has plasma in each cell, which automatically turn themselves on the darker parts of the screen. 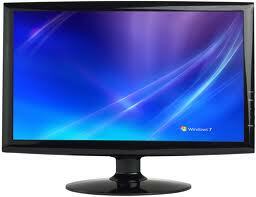 LCD TVs on the other hand has a liquid crystal so that when it comes to displaying dark images. CCFL should be dimmed result of black color is not so convincing. On the other hand, LCD TVs powered with rear LED lights have a slight edge as the individual LEDs twist themselves into the 'off' position in the dark screen thus providing a more convincing black than LCD TVs. Results: In contrast ratio parameters, plasma TVs clearly have the upper hand. LED TVs are next, followed by the latest LCD TVs. Viewing angle is the angle in which the picture can be seen on TV. All TV can be seen when you are right in front of him, but because all the viewers can not sit right in front of the TV and had to sit around (right and left side), then the angle parameter becomes very important. Winners to this point again is the plasma TV. Image of the plasma TV remains good and solid for viewers at almost every corner. LCD TVs fall back when there is often a loss of color and detail, when the TV is viewed from a sideways angle. LED TVs minimize the problems faced by the LCD TV due to the decentralization of back light so that it has a wider viewing angle. Results: In the perspective parameters, plasma TV is the winner, followed by LED TV and LCD TV's second place in last place. It is quite obvious that the bright colors of the TV will be an important consideration in the mind of the TV buyer. But there are no winners in this parameter because all the TV seems to indicate good quality images. Differences may exist between the two models of the same type TV or two different TV brands, models higher price indicates better color, but most still have the same picture quality. It is said that if the LED TV has a light color, it will show you the best picture of them all, but this is still debated. Results: All the TV ratings are of good quality, which determines the price lebihbaik, due to the higher prices usually staining the screen would be better. LCD TV has shown a large increase in this parameter in recent years, but it can not be argued that plasma technology has the advantage here. While plasma screens have individual cells that can refresh at a much faster rate. Stream movement has become a scourge for LCD TV makers for a while now. LED TVs largely use the same technology as LCD TVs but showed better performance than LCD TVs. Results: Plasma for now, is still the champion, followed LED TV for affairs motion. Plasma TVs consume more power than LCD TVs, because each sub-pixel screen must be turned on. Conversely, LCD TV needs more needs little power to illuminate the rear lights. But the LED TV is the winner of this point as the rear LED lights have more power efficient and smaller power requirements. Results: LED TV is a winner at this point, followed by LCD and plasma. Weakness plasma TV, which the author is trying hard to fix this, is life. The quality and brightness of the plasma screen takes a beating in a very short time. But plasma output now comes with more efficient, which has the potential to last longer. Age of LCD and LED TV depends on the age of the taillights, but the average age of the TV should be more than plasma TVs. Another thing to consider besides age was the burn-in (burning). Plasma TVs have some problems, because it has the potential for burn-in on a bigger screen. Plasma TV makers looking for a solution to fix this problem as well. LCD and LED TVs rarely have problems burning screen. Results: At this point, the LCD TV has been a winner, while the lifespan of the LED rear lights remain untested, as a relatively new technology. But trying to extend the life of the plasma near the LCD TV. Having said all this, in the end, the decision for most people is created by the price tag. For many people around the world, the problem of the price tag is much more important than the six points earlier. Over the years, the plasma has enjoyed a much lower price compared to LCD, but as a measure of increased production and demand LCD, LCD prices are set to become more and more competitive with plasma. LED TV has a high price as the new technology was issued. For small size plasma is cheaper, but for now this TV width is dominated by the low price of LCD TVs. Results: Plasma TV is the number 1 for the small size (under 32 inches), but above the 32-inch TV cheaper LCD. LED TV is still worth 2 times more expensive than LCD for the same size. LCD is the most popular technology used in TVs, cell phones and flat-screen computer monitors. But they do not boast the best image quality. LED stands for Light Emitting Diodes Emiting, is a component that can emit light. LED is a product of the other findings after diode. The structure is also similar to the diode, but later discovered that electrons that hit the connection PN also release energy in the form of heat energy and light energy. LEDs are made to be more efficient if off light. To obtain light emission in semiconductors, doping is the use of gallium, arsenic and phosphorus. Different types of doping produce different colors of light pula.Pada current color LED light that there is a lot of red, yellow and blue hijau.LED very rare. Basically, all colors can be produced, but it would be very expensive and inefficient. In addition to choosing LED color, keep in mind the working voltage, maximum current and the power dissipation. House (chasing) LED and shapes vary, there is a rectangular, round and oval. 0 Comment for "Know the Difference LCD Monitor and LED Monitors"